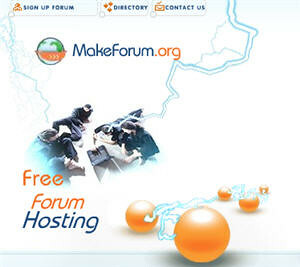 MakeForum offers a powerful, and fully customizable forums for free. You can instantly activate your free message board. Basic features: unlimited storage and bandwidth, allows unlimited forums, users, and posts, more than 200 free templates, free subdomains.The only thing that is required is your email address. Overall, it takes about 30 seconds to make your forum functional and installed on one of dedicated servers. phpBB has millions of installations worldwide, it is no wonder phpBB is one of the most popular ways to create and support a community. It provides highly customizable features in addition to a standard interface. It will compliment your website. Forumer – is a popular free phpBB forum hosting service. It features over 30 free skins, great custom portal, your own live chatroom. You can even make money with your forum. Conforums offers free completely customizable message boards with hundreds of built in features. Create any kind of web community you wish, either for business communications, or for a personal web page, or just to manage data. Conformus gives you freedom to choose. Nable provides free forums hosting, free discussion groups and mailing list archive. FreeForums is a free phpbb forum hosting company which offers advanced features with less hassles than any other free forum host on the Internet. Blursoft MetaForum provides an easy in usage moderation system built on the power of the normal distribution. No need to refresh the page to see new posts or threads. New posts appear immediately. Among other noteworthy features are completely customizable CSS-based templates, archiving backup systems, encrypted authentication, link to Google results for keywords. ProBoards is one of the premier forum provider. It hosts over 17 million members at 2 million forums. fully integrated forum and member search, friends list, basic and advanced skin editing modes, custom images, and more. CuteCast allows unlimited number of users and posts. It shows users, guests and robots (eg: Google spider) online status, supports cookie and URI-based sessions, supports RSS topics syndication, uploadable avatars and attachments, automatically creates thumbnail for image files. Sudden Launch is a great place to launch your own web community. SuddenLaunch offers an aesthetically pleasing environment and an easy to use interface makes your message board a delight to visit over and over again. GoBoardz permits to embed videos from Revver in your posts. All forums support RSS feeds. Among new features are graphic avatars which can be configured in account settings. All topics allow for Digg’ing, and del.icio.us linking.